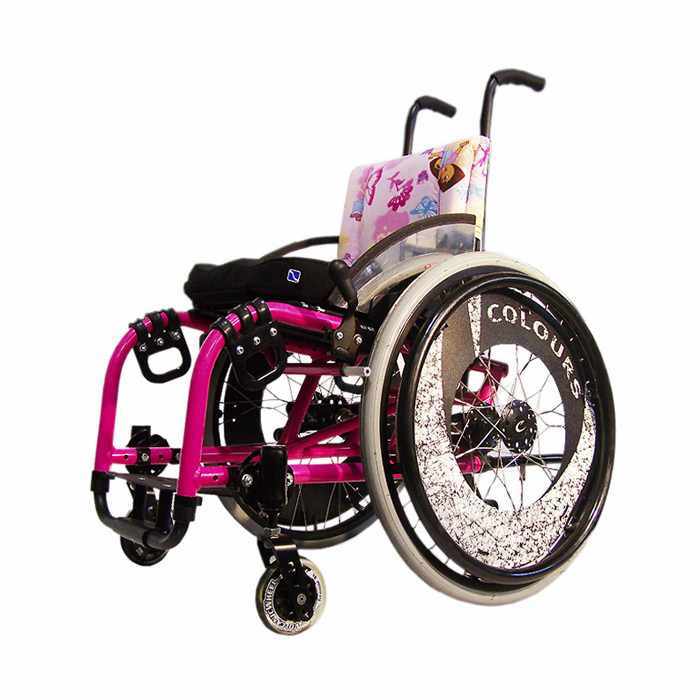 Colours little dipper wheelchair is a compact lightweight yet durable, and adjustable wheelchair for special need kids. "Little Dipper" can be set up with dual rear axle receiver so that your child will be able to use their wheelchair for sports and everyday use. Little dipper comes with 'Growth kit' which enables wheelchair to adjust according to growth of the user. Growth kit also provides a new wheelchair frame which includes upholstery and footrest. Seat width 10" - 15"
Seat depth (3" Longer frame) 10" - 14"